Meat-eaters have plenty of options when it comes to portable food on the go, but what about vegans? Tyme is an New York-based startup crafting globally-inspired vegan dishes and elegantly layering them into clear screw-top containers. 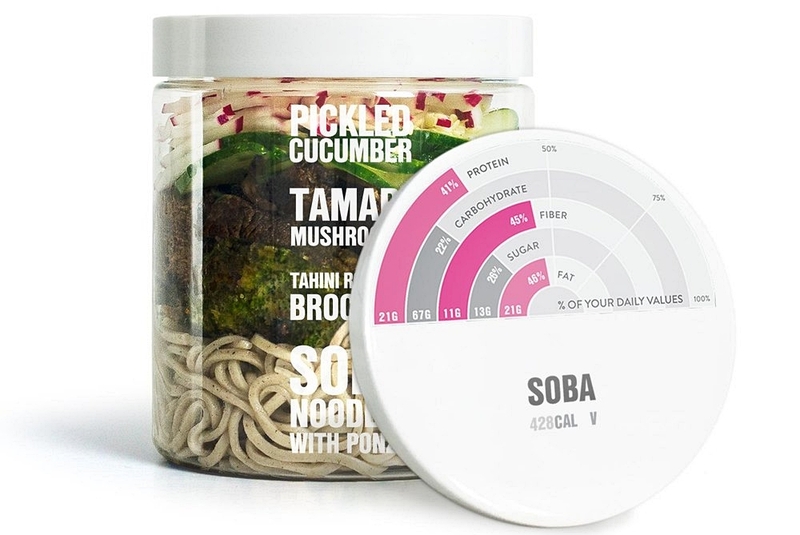 The simple packaging features the name of the company on one side and lists the nutritional content on the lid. Options include wholesome dishes like soba noodles, falafel and black rice with vegetables. The company says that its goal is to change how people perceive vegan food by showing how tasty meatless dishes can be. But the packaging isn’t just meant to show off each meal’s Instagram-worthy looks. The jars can be returned to Tyme to be reused, and will earn you a dollar off your next meal. The company also composts its biodegradable forks and leftover food, so customers can just leave any remains inside without worrying about cleaning up. Tyme currently has five locations in Manhattan with each meal retailing for $10.